Product prices and availability are accurate as of 2019-04-13 16:30:25 EDT and are subject to change. Any price and availability information displayed on http://www.amazon.com/ at the time of purchase will apply to the purchase of this product. 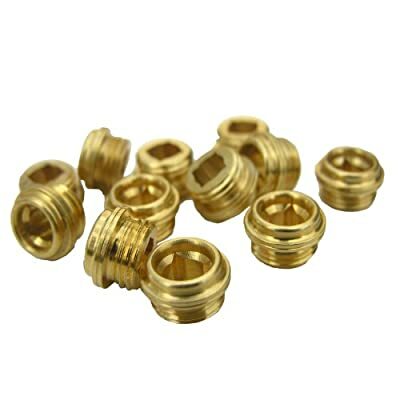 LASCO SB-24-12 Faucet Seat, 1/2-Inch x 20 Thread x 3/8-Inch Length, Fits Price Pfister Brand Faucets, Brass, Lead Free, 12-Pack. Brass faucet seat. 1/2-Inch x 20 threads x 3/8-Inch in length (12 Pack). Fits Price Pfister brand Faucets. Original equipment manufacturer number 970-510. Faucet replacement part.